The new Four-Door Mercedes-AMG GT Coupe is the fourth addition to the highly popular AMG GT series. This is the first four-door model in the range and will go on sale in Summer 2018. 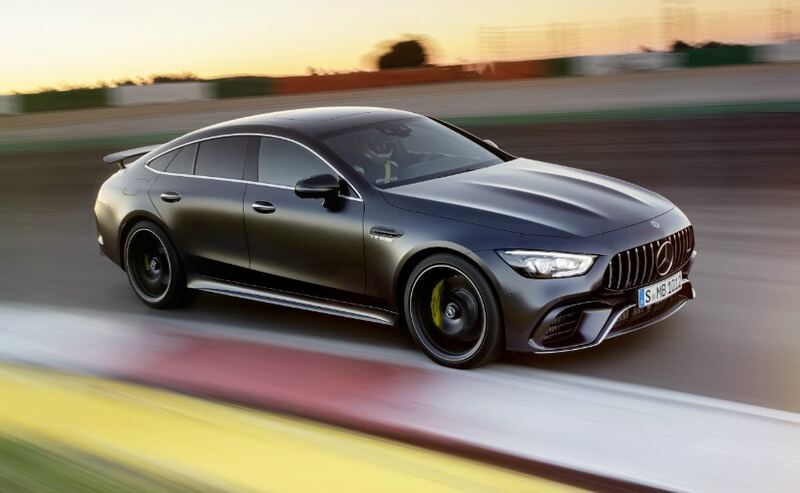 Mercedes-Benz's performance arm, AMG, unveiled one of its most exciting cars for this year at the ongoing Geneva International Auto Show - the Four-Door Mercedes AMG GT Coupe. The newest addition to the carmaker highly popular AMG GT family, this is the first four-door model to join the series and the car will officially go on sale later this year in the summer of 2018. Mercedes says that the core idea behind the development of the new four-door coupe was to offer both practicality and performance as part of one package. In fact, Mercedes-AMG says that this AMG GT is something that could be used as a daily driver as well as a track machine during those occasional weekends at the racetrack. The all-new Four-Door Mercedes AMG GT Coupe is the fourth model to join the highly successful AMG GT family, which right now includes the - Mercedes-AMG GT, AMG GT Roadster and the top-of-the-line AMG GT R. And as mentioned before it's the only four-door model in the series. The new AMG GT coupe shares its underpinnings with the other AMG GT models and comes with similar styling elements like - the signature Panamericana grille, the long, low-slung bonnet, bug-eyed LED headlamps with sharp LED DRLs, AMG alloy wheels (19 and 21 inches option), sloping roofline with a stubby tail with wraparound LED taillamps, and an active aero spoiler. Furthermore, the frameless side windows and a flat windscreen inclined far to the rear gives it the classic coupe architecture. 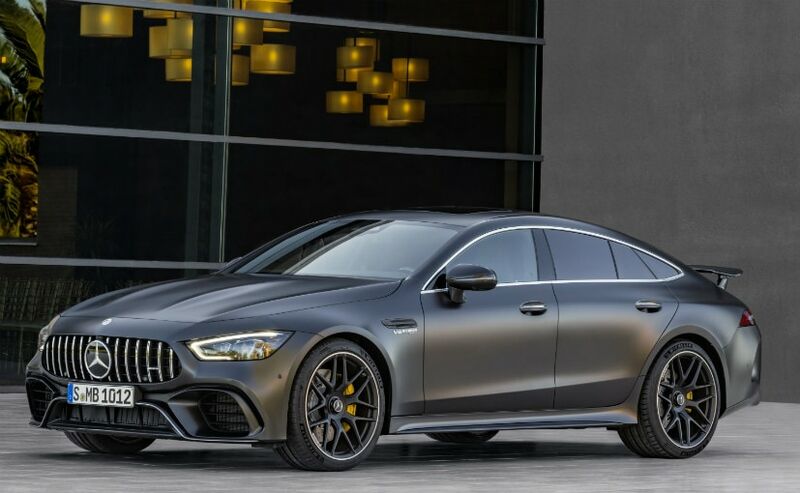 The cabin, on the other hand, is largely similar to the new-gen Mercedes-Benz CLS that was launched in late 2017 but with AMG styling and equipment. The lower half of the dashboard gets a glossy carbon-fibre finish and the upper half is made of nice soft-touch material. Up front, the car offers sporty bucket seats while for the rear Mercedes-AMG offers an option either for three passengers or two passengers, with a bench seat or two individual seats respectively. In terms of features, the car gets two 12.3-inch displays in the cockpit that includes the infotainment system, connectivity options and other operation controls for the car. Also on offer is an AMG steering wheel with active rear-wheel steering function, a centre console with a host of buttons for in-car controls and illuminated air-con vents, among much more. Mercedes-AMG GT 4-Door Coupe is powered by the tried and tested 4.0-litre V8 bi-turbo o engine that comes in two states of tune. The more powerful option makes 639 bhp and 900 Nm of peak torque, and does a 0-100 kmph sprint in 3.2 seconds, before reaching a top speed of 315 kmph. The less-powered option makes 585 bhp and 800 Nm of peak torque and can go from 0 to 100 kmph in 3.4 seconds and gets a top speed of 310 kmph. For the first time, an AMG GT model also gets a hybrid powertrain with a 3.0-litre 6-cylinder engine paired with an electric motor the gets a 48-volt on-board power supply. The powertrain makes a combined output of 435 bhp and 520 Nm of peak torque. This one can do a 0-100 kmph sprint time of 4.5 seconds, before reaching a top speed of 285 kmph. 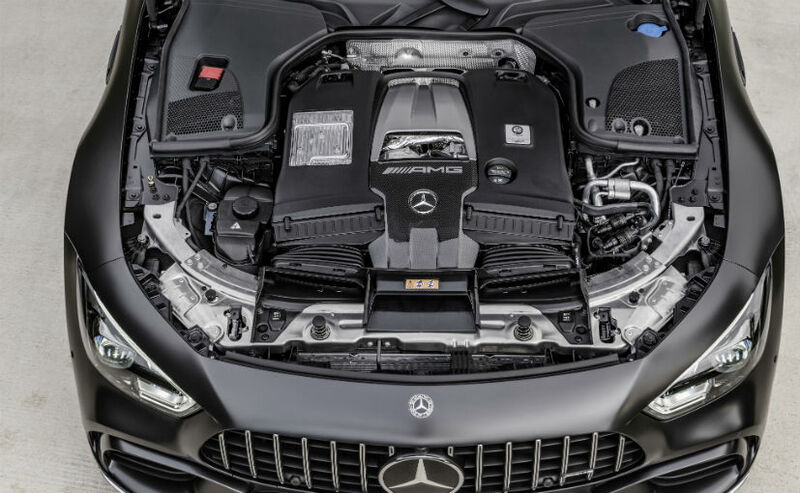 As for transmission option - the V8 engine comes mated to an AMG Speedshift MCT 9G 9-speed transmission, while the six-cylinder in-line engine is coupled with the AMG Speedshift TCT 9G transmission. All AMG GT 4-Door Coupe models are equipped with the AMG Performance 4MATIC+ all-wheel drive. The car also gets an electromechanical speed-sensitive power steering has a variable ratio. Power assistance also varies between the three stages - Comfort, Sport, and Sport+. Depending on the engine there are up to six drive programs to choose from in the four-door AMG GT - Slippery, Comfort, Sport, Sport+, RACE, and Individual. These levels are selectable via the gearshift paddle in the centre console and stored with the new drive program attribute AMG DYNAMICS, which can be adjusted to match the AMG GT 4-Door Coupé's handling characteristics to different demands and driving conditions in a much more differentiated way. Behind the umbrella term, AMG DYNAMICS is the agility functions - Basic, Advanced, Pro, and Master, which are automatically selected by the respective drive program. The car also has the much appreciated 'drift mode' on offer and an active rear-wheel steering, which is standard on the V8 models and optional on the six-cylinder model. Up to a speed of 100 kmph, the rear wheels turn in the opposite direction as opposed to the front wheels which allow the car to have better turn-in and reduce the turning radius, thereby offering better stability. At speed of above 100 kmph, the rear wheels turn in the same direction as the front wheels, offering more grip and better response. Consider Mercedes-Benz India already offers the existing AMG GT models in the country it's highly likely that the Four-Door AMG GT Coupe will also reach our shores. While the global launch will happen towards mid-2018, we expect the car to be launched in India in early 2019. 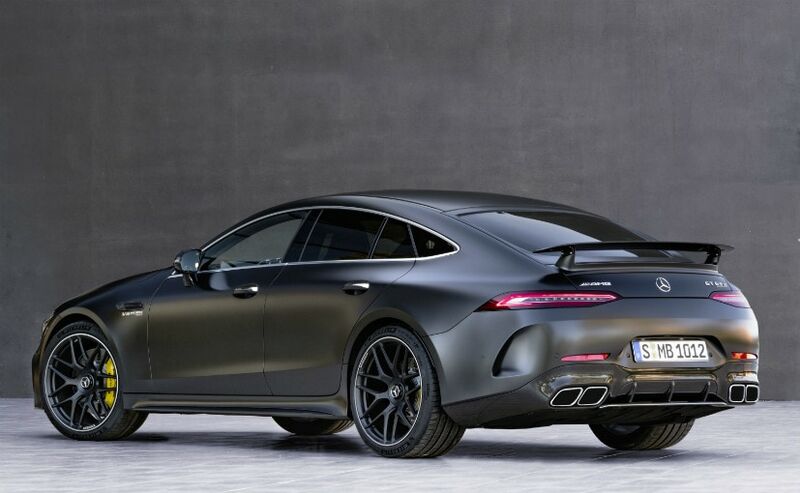 The Four-Door Mercedes AMG GT Coupe goes up against the Porsche Panamera.